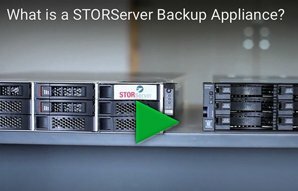 Learn how to get the most out of your STORServer Backup Appliance or other IBM® Spectrum Protect™, formerly IBM Tivoli® Storage Manager (TSM), installation with certified training classes from STORServer. 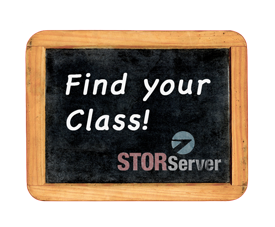 STORServer offers live Webinars to deliver interactive training from the convenience of your office. All courses are lab intensive, providing the experience and skills necessary for the daily management of a STORServer Enterprise Backup Appliance. Who should attend STORServer Training? New STORServer appliance customers and IT professionals managing IBM Spectrum Protect installations should enroll in ST102 to begin their education. Administrators who have completed ST102 who want to do a deep dive into disaster recovery planning and administration can sign up for ST201A, our advanced session. *Need a different date or schedule? Contact us! Tuesday, 8:00 a.m. – 4:00 p.m.
Wednesday, 8:00 a.m. – 4:00 p.m.
Certified training for STORServer backup appliance administrator. These IBM® Spectrum Protect™, formerly IBM Tivoli® Storage Manager (TSM) training sessions are open to all STORServer Appliance customers and existing installations. Attendees will learn how to manage their STORServer backup appliance and IBM Spectrum Protect environments. STORServer offers a unique, hands-on training curriculum using IBM Spectrum Protect and the latest STORServer Appliance graphical interfaces and features. This course is a pre-requisite for attending ST201A (STORServer Disaster Recovery Seminar Training). Tuesday, 10:00 a.m. — 2:00 p.m.
Wednesday, 10:00 a.m. — 2:00 p.m. Note that there is another advanced course on use of bare metal recovery using Cristie Bare Metal Restore or FastBack Bare Metal Restore, so those products are not covered in this course. This course requires completion of ST102 (STORServer Enterprise Backup Appliance Administrator Training).